Good morning, all! Hopefully everyone had a fun and safe Memorial Day yesterday! This is the Izabelin House, a two story structure in the middle of the forest. As you can see, it blends right in, with the help of a few mirrors. Okay, witht he help of a LOT of mirrors! From this angle, it looks like a room with no walls surrounding it. Like it’s sinking into another dimension. Definitely freaky! From this angle, it looks like the second story is just floating above the ground. This mirror house illusion is definitely pretty cool. 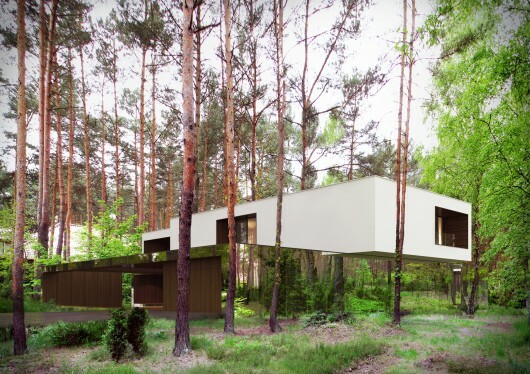 The mirrors reflect the trees and forest floor around it, which helps it blend almost completely in and make it almost invisible. A couple of thoughts on this, though. A mirror house optical illusion is pretty awesome, but how much time and money do you think they spend to keep the mirrors on the outside clean and clear? Or do you think they just let it get dirty until it’s time for a photo? Also, what about animals? If the mirror house illusion is difficult for us to see, wouldn’t it be extremely difficult for wildlife to see as well? I can just picture little Bambi bounding through the forest, and — BAM! — running right into the side of the mirror house. Like a bird into a picture window, but on a much larger scale. And what about the animals that can see themselves in the mirror house? If they’re territorial, wouldn’t they want to fight their reflections? Then you’d have all sorts of animals, like bears and mountain goats, trying to beat up your house. My final thought? Living in a mirror house would be pretty cool and definitely a conversation starter. (“So, yeah—I live in a house of mirrors…”) But, I don’t think it would be worth it! What about you? 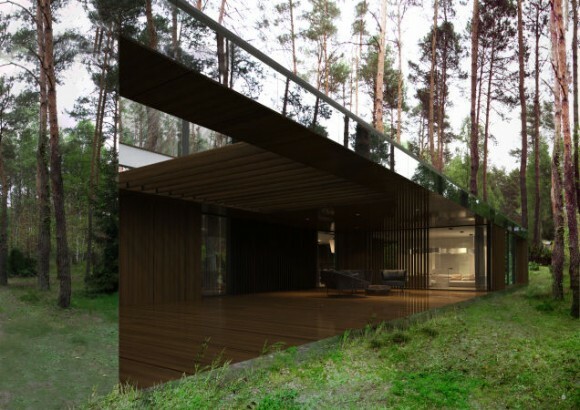 Would you live in a mirror house? Or would you prefer to live in something like this funky hotel building?